General Principles for Allowing Business Deductions / Allowances from Profits and Gains of Business or Profession. Section 28 defines various income which are chargeable to tax under the head “Profits and gains of business or profession”. Section 29 permits deductions and allowances laid down by sections 30 to 43D while computing profits or gains of a business or profession. Loss of revenue nature, which is incidental to business, is allowable as deduction while computing taxable business income, even though it is not codified specifically under any of these sections. Sections 40, 40A and 43B give a list of expenses which are not deductible. It is the responsibility of the assessee to prove that a particular deduction is admissible in his case. The allowances laid down under sections 30 to 37 are cumulative and not alternative. For instance, if a particular expense is expressly dealt with by a particular section, its admissibility under the residual section 37 cannot be denied unless the particular section prohibits any allowance under any other provision. It is necessary to claim deduction that the expenditure should relate to the previous year. In order to ascertain whether the expenditure relates to the relevant previous year or not, one has to examine method of accounting generally adopted by the assessee. If the assessee keeps his books of account on the basis of mercantile system, expenses of the previous year would be deductible irrespective of the fact whether they are actually paid during the previous year or not. 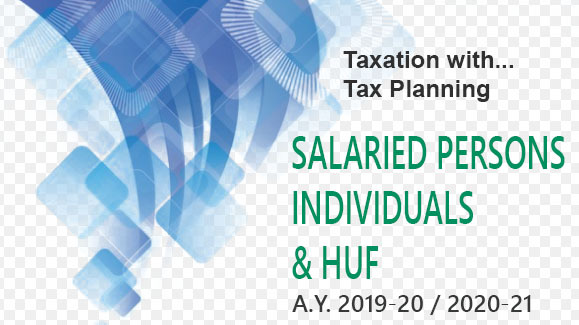 If the assessee, on the other hand, keeps his books of account on the basis of cash system, expenses actually paid during the previous year are deductible, whether or not they are in respect of previous year. The rule described in this para is, however, subject to one exception. In order to avail deduction of expenditure, it is necessary that the business in respect of which expenses are incurred, should be carried on by the assessee during the previous year. If the business has been closed or discontinued before the commencement of the previous year, no deduction in respect of such discontinued business is permissible while computing taxable income of the previous year from other sources. Sections 41 and 176 [see para 83] bring into charge certain receipts relating to a business or profession, not in existence during the previous year. An expenditure is allowable as deduction in computation of taxable income only if it is incurred for the purpose of assessee’s own business. For instance, parent company cannot be allowed a deduction in respect of an expenditure incurred for the benefit of its subsidiary company (even if it is a wholly-owned subsidiary company). If the expenditure is incurred primarily in connection with assessee’s own business, it would still be allowed as deduction even if it enured to the benefit of someone else. For instance, insurance premium, repairs and other expenditure incurred on leased out business assets are deductible from the income of the lessor, even though the expenditure enures to the benefit of the lessee. It is not necessary that benefit of the expenditure should be limited to the previous year in which the expenditure is incurred. A revenue expenditure incurred during the previous year is deductible even if benefit of expenditure is extended beyond the year of expenditure. No deduction is admissible in respect of diminution or exhaustion of the capital asset from which income is derived. Wasting assets such as mines and quarries, timber-bearing land, leasehold interest are capital assets and their diminution or exhaustion in value represents capital loss which is not allowable as deduction, as the Act permits deduction of revenue loss. In the case of a new business the first previous year commences on the date when the business or profession is set-up. Expenditure incurred prior to setting up of a business falls outside the previous year. Section 28 applies only in respect of business carried on during the previous year. As a consequence, expenditure incurred before setting up of a business would not be deductible, while computing income of the previous year. However, there is sometimes a time-lag between setting up a business and its actual commencement. Expenditure incurred after setting up of a business may be allowed as deduction under sections 30 to 37, even if it is incurred before the actual commencement of business. EXCEPTION - To the aforesaid general rule that expenditure incurred before setting up of a business is not permissible as deduction, some exceptions are provided. If business is commenced by promoters of a company and in arriving at taxable profit, expenditure incurred during pre-incorporation period is allowable as deduction. Three more instances when expenditure incurred before setting up of a business are allowable as deductions are found in sections 35A, 35D and 35E. If an assessee carries on a non-taxable business (such as agricultural income in India), no deduction on account of expenditure relating to such non-taxable business can be claimed. As said earlier, profits of illegal business are chargeable to tax. In arriving at chargeable profits, ordinary business expenditure incurred in carrying on an illegal business is allowable as deduction. However, infringements of law including breaches of obligations are not ordinary incidence of business and penalty or damages paid in connection with such infringement do not constitute expenditure, wholly and exclusively laid out for the business of the assessee; such expenses are, therefore, not deductible. Under the present scheme of the Act, anticipated loss cannot be deducted, though the loss is certain. The only exception to this rule is that stock-in-trade may be valued at cost or market value, whichever is lower. A deduction in respect of depreciation of investment in shares and securities is not allowable. The question whether the expenditure is capital expenditure or revenue expenditure is relevant only in the case of expenditure falling under sections 30, 31 and 37(1) which expressly exclude the items of the nature of “capital expenditure” from being allowed as permissible deduction. However, expenditure falling under other sections may fall either under the category of capital expenditure or revenue expenditure.